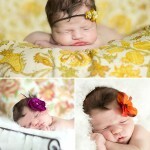 Miss Peyton was my 3rd newborn ever and my first and only session where I had assistants. It actually went quite well, but when no one was available to snuggle the little ones for my next session I figured I better learn to go it alone. Thanks Brenda for all your help! 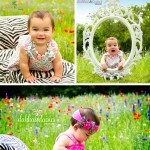 We attempted a fun little tea party with these sweetlings but the wind had other plans for us! We spent half ht session chasing our set. We will have to just try again next week! 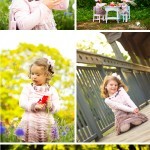 The day before Easter we found these sweet outfits and I just had to have pictures. It was raining on us but she didn’t seem to mind. This first pictures has even been licensed commercially! 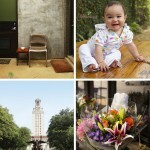 As some of you know I studied Dance and the University of Texas at Austin. I fell in love with that funky city and was lucky enough to marry a man who was actually from there! We get to go back often for a long weekend and play around. Miss Madeline is showing off her superb bunny skills.